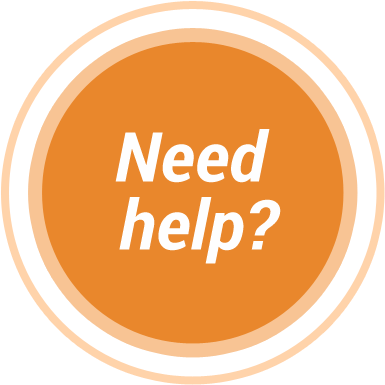 If you've adopted a child abroad, you will have Spanish documents that may require translation into English in order to legalize the adoption in your home country. 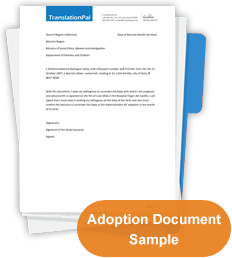 From birth certificates to foreign adoption decrees, medical records to police certificates, TranslationPal can translate your adoption paperwork for use in the legal system as well as for immigration purposes. 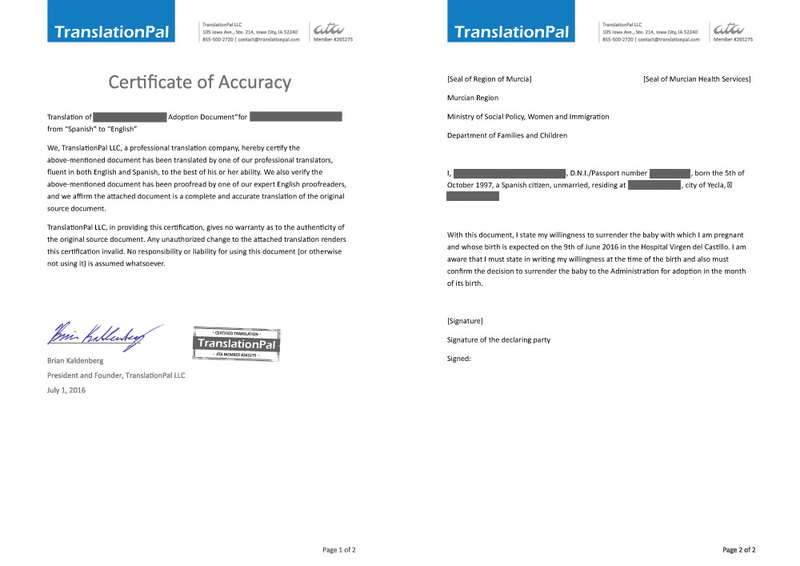 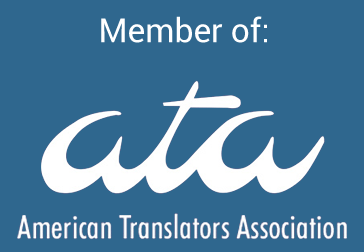 Our highly qualified translators will quickly and accurately translate your adoption papers from Spanish into English, and our professional proofreaders will make sure that the translation is flawless and that the document is correctly formatted.